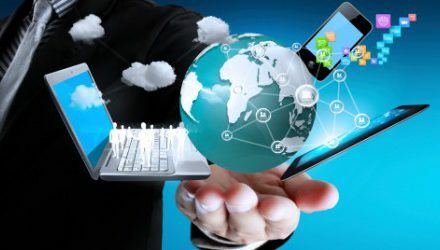 Customer Relationship Management (CRM) software is what every growing business uses to better understand and connect with their customers. An Excel spreadsheet, email marketing and good luck is just not good enough. 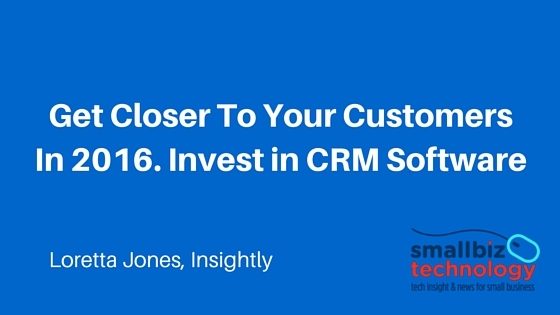 I’ve asked Loretta Jones, vice president of marketing, Insightly CRM to share some further insight on this. There’s no denying that the customer relationship management (CRM) market has quickly become a crowded space. Not only are there an overwhelming number of platforms available, but also more niche offerings for specific industries make it difficult for the average small business owner to determine the tool that will best suit their needs. Making it even more confusing, some argue that the CRM acronym has become tired and overused, and needs an upgrade. There may be some truth to that for the large enterprise that uses CRM for traditional sales. 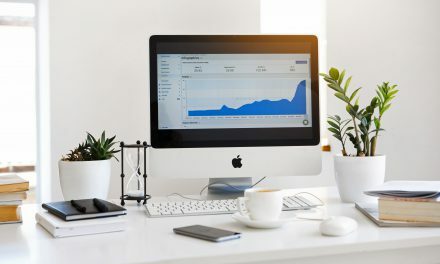 But, for small business owners seeking effective methods for managing their businesses, CRM maintains its value as long as the “customer” remains the focus. Businesses have traditionally turned to CRM because it’s an easy way to collect and organize customer data across the organization. As an added bonus, SMBs that emphasize using the information already stored in the CRM to improve customer relationships can expect to see an increase in employee productivity, revenues and customer loyalty. Every business, big or small, understands that customers are the keys to success. In order to attract and retain those customers, small business owners need to make sure that every interaction with them is nothing less than stellar. With the help of a CRM, small business owners can track every email, phone conversation, and face-to-face meeting in one central location. As a result, customer information is stored and accessible across the company, creating a customer experience cloud. This helps ensure that every employee is up-to-date on customer details, such as the product last purchased, the last point of contact and what was specifically discussed, or required next steps. Armed with this information, employees can anticipate customer needs and address problems swiftly. For example, a customer that calls the help desk about a recurring issue will have a far superior experience if the service representative can quickly pull up her record and review past service complaints without asking her to describe the entire problem all over again. Similarly, if a product typically needs to be replaced or renewed every six months, a business representative can set an alert to follow up with customers when that date is approaching to help them avoid service gaps. This customer-centrality and service is what sets businesses apart from their competition. According to a recent Zendesk study, 40 percent of customers begin purchasing from a competitor because of its reputation for great customer service. By collecting and analyzing customer information, SMBs can determine how they can best meet customers’ needs, especially if those needs change based on location and buying behaviors. By segmenting customers, business owners can see where they are falling short on meeting their needs and what needs to be done in order to negate the issue. 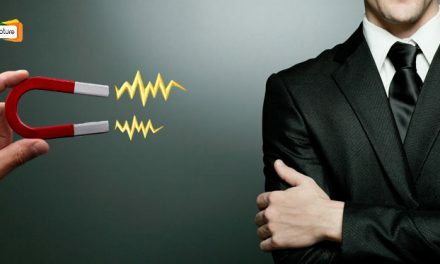 For example, an integration with a tool that tracks customer support tickets can highlight the issues customers are complaining about most and allow SMBs owners to monitor how quickly employees are responding to these issues. In addition, it can provide valuable insight into potential product upgrades or new capabilities if there is an upward trend in requests. Tracking this data and the conversations your reps are having with customers can help your business quickly determine what needs to happen in order to keep customers happy. Are new customers getting the education and resources they need to be successful? Is there a common complaint about the billing process? Is there an opportunity to support customers who’ve relocated to a new city or job? Identifying and addressing such problems makes it clear to customers that the businesses they are working with are paying attention to their needs, which results in more loyal and satisfied customers. It also shows that a business puts the success of its own customers high on its priority list. Providing a great customer service experience should be at the core of every business decision. By using your CRM to collect and analyze the customer data that is most important, businesses can uncover valuable and actionable intelligence that can have an immediate impact on customer satisfaction. And by putting customer service, experience, and overall loyalty first, small business owners are giving their business the best shot at success. Loretta Jones is the vice president of marketing at Insightly, a San Francisco-based SaaS CRM application for small businesses. With more than 15 years of experience in marketing, including marketing strategy, communications and lead generation, Loretta has grown marketing programs for both SMB and enterprise customers at Coveo, Adobe EchoSign and several other companies. She holds a bachelor’s degree from Brown University. PreviousSmall Retailers Are Squeezed By Nike Going Direct.